Alemán joined Republic FC ahead of the 2018 season from Deportivo Saprissa. 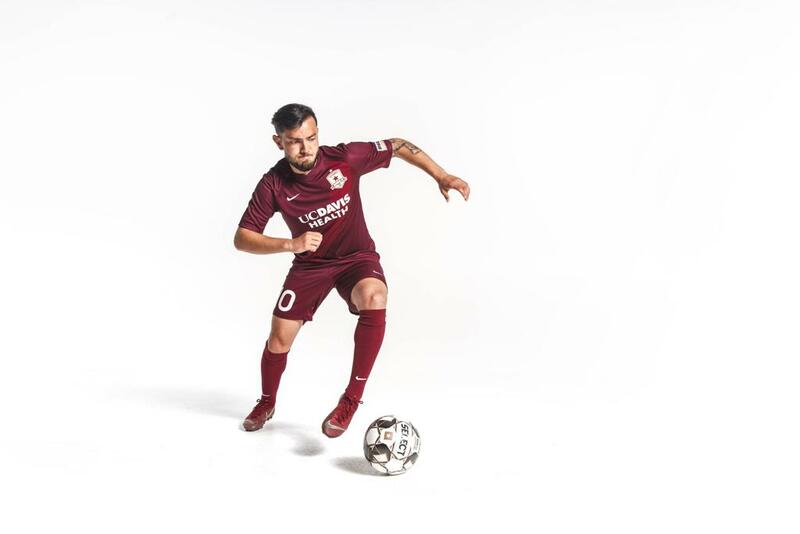 The midfielder made 20 appearances across all competitions during his first year in Sacramento, recording five goals and two assists in that span. Born in Costa Rica, Alemán and his family moved to Ontario, Canada, at the age of 10. He joined Toronto FC’s Academy before ultimately moving to Spain to play in the academy of La Liga side Real Valladolid at age 15. Alemán spent two seasons with the youth side before moving up to the club's B squad for the 2013-14 season. Alemán returned to his native Costa Rica the following year where he would spend the next four seasons playing for Herediano, Belén and Costa Rican giants Deportivo Saprissa. Though born in Costa Rica, Alemán holds Canadian citizenship and has made numerous appearances for the Canadian Men’s National Team, winning silver at the 2011 CONCACAF Under-17 Championship and representing Canada at the 2011 FIFA U-17 World Cup in Mexico, the 2013 CONCACAF Men’s Under-20 Championships in Mexico and at the 2013 CONCACAF Gold Cup. Most recently, Aleman was called up for a friendly against El Salvador in October 2017. 2016-2017: Made the full transfer to Belén in July 2016 after his earlier loan status...made 10 appearances...signed with fellow Costa Rican side Deportivo Saprissa in December 2016...made 17 appearances with the club...scored one goal. 2014-2015: Signed with Costa Rican club Herediano in August 2014...made 19 appearances, scoring two goals...was loaned out to Belén in January 2015 for the remainder of the season...made 18 appearances and scored four goals while on loan. Alemán has made numerous appearances on the Canadian Men’s National team, winning silver at the 2011 CONCACAF Under-17 Championship and representing Canada at the 2011 FIFA U-17 World Cup in Mexico, 2013 CONCACAF Men’s Under-20 Championships in Mexico, and 2013 CONCACAF Gold Cup. He was most recently called up for a friendly against El Salvador on Oct. 8, 2017.